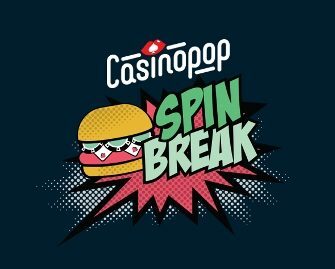 Casino Pop – Get a Spin Break! Free Spins on deposit for every day of the week! 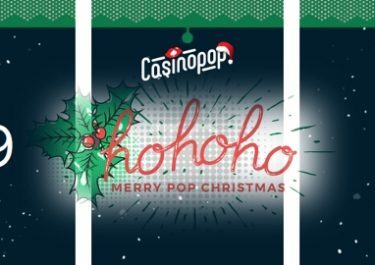 This week, CasinoPop invites its players to SPIN BREAK. Take a break and raise the pulse with amazing offers served on a daily basis between 11:00 to 14:00 throughout the entire week. In other words, the dessert will be right there for everyone. Keep an eye out for new games and amazing offers available both on mobile and desktop. Plus, Gold members also get 20 Free Spins, Silver 10 Free Spins and Bronze 5 Free Spins at level up, every day of the Spin Break. Go on a Spin Break this Easter week at CasinoPop and enjoy daily Free Spins on a range of thrilling games. Simply deposit the required amount between 11:00 – 14:00 CET to have the spins added to your “Rewards” section. Burger Monday: Make a minimum deposit to instantly receive 40 Free Spins on Volcano Riches. Taco Tuesday: Make a minimum deposit to instantly receive 50 Free Spins on Sweet Alchemy. Veggie Wednesday: Make a minimum deposit to instantly receive 50 Free Spins on Dead or Alive™. Tonight, join the new tournament, play 20 consecutive spins for at least $ 10 to participate. Pasta Thursday: Make a minimum deposit to instantly receive 40 Free Spins on Hotline™. Extra Level-up reward: Throughout the campaign, all Bronze, Silver and Gold players leveling up on the progress bar will be rewarded with 5 | 10 | 20 extra Free Spins. CasinoPop bonus terms and conditions apply to all daily offers and extra rewards, read them carefully.